SS_F8M92 Custom bobblehead dolls made to look like you! 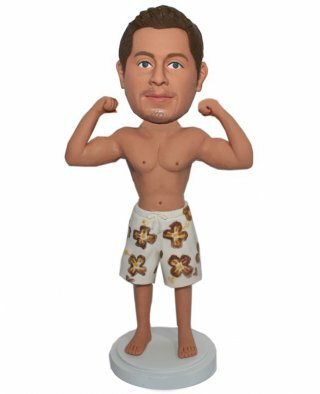 Builder bobblehead doll is wearing a flower shorts.A muscular man can make his lady feel safe, but a strong man may make others feel a little scared. Do you have a strong man in your life? Does his muscle make you feel safe? If yes, then he really deserves this custom bobblehead, surely he will be impressed a lot to this thrilled bobble doll.